The THr sensor is a LoRaWAN class A sensor that manages two different power supplies: a disposable ½ 3.6V A-type battery and a rechargeable battery. It also includes an internal antenna. It measures the temperature, the relative humidity and the illuminance of the remote sensor. It is also possible to get the voltage of the power supply. The difference between THr and THr Plus is that the sensor used in THr Plus (SHT25) to measure the temperature and humidity is more accurate than the one used in THr (SHT21). The Illuminance is indicated in the Analog Input Cluster in % of a maximum luminosity reached. The value is given in increments of 10%. 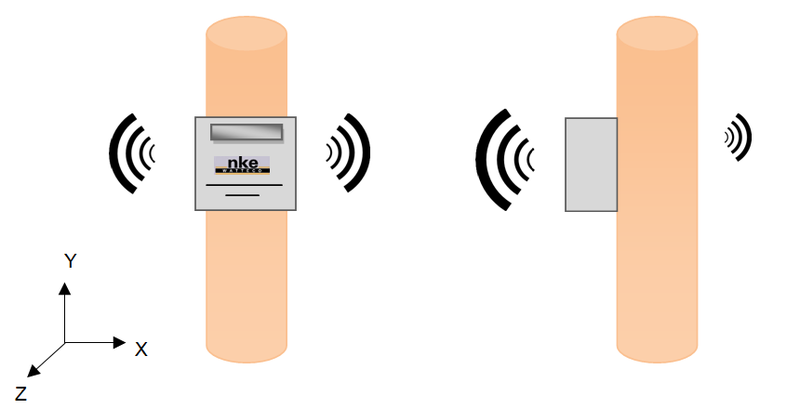 A physical measurement is done every 30 seconds for Temperature and Relative Humidity, 16 seconds for Illuminance, and 10 minutes for Battery level. 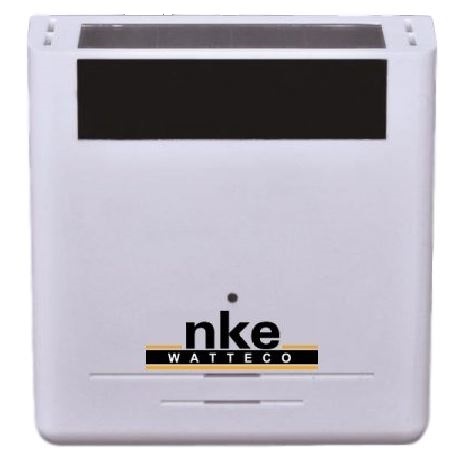 The device reports the temperature (EndPoint 0 / Cluster Temperature Measurement / Attribute Measuredvalue) and the relative humidity (EndPoint 0 / Cluster Relative Humidity Measurement / Attribute Measuredvalue) every 8 hours. Report immediately the temperature for every 11°C variation. This measurement has to be reported at least every hour. →The temperature is on the EndPoint 0, Cluster “Temperature Measurement” is 0x0402, Attribute “MeasuredValue” is 0x0000. The maximum field has to be 0x0e10 to have a report every hour and the minimum field has to be 0x0000 to have a report immediately after the right variation. The delta has to be configured to 1100=0x044c for a report at every 11°C variation. Report immediately the temperature for every 20% variation. This measurement has to be reported at least every 3 hours. →The relative humidity is on the EndPoint 0, Cluster “Relative Humidity Measurement” is 0x0405, Attribute “MeasuredValue” is 0x0000. The maximum field has to be 0x2a30 to have a report every 3 hours and the minimum field has to be 0x0000 to have a report immediately after the right variation. The delta has to be configured to 2000=0x07d0 for a report at every 20% variation. Report immediately the indication of illuminance for every 10% variation. This measurement has to be reported at least every 15 minutes. →The indication of illuminance is the EndPoint 0, Cluster “Analog Input” is 0x000C, Attribute “PresentValue” is 0x0055. The maximum field has to be 0x800f to have a report every 15 minutes and the minimum field has to be 0x0000 to have a report immediately after the right variation. The delta has to be configured to 10.0=0x41200000 (type is single precision for a report at every 10% variation). Timestamp and record the temperature with a resolution of 1°C, a value has to be saved at least every 6 hours or on a variation of 1°C. Timestamp and record the relative Humidity with a resolution of 5%, a value has to be saved at least every 4 hours or on a variation of 5%. Timestamp and record the Illuminance with a resolution of 1%, a value has to be saved at least every 2 hours or on a variation of 1%. Timestamp and record all voltage power sources with a resolution of 0.6V, a value has to be saved at least every 24 hours. All data have to be concatenated and sent every 24 hours at the most. →The solution to concatenate several different physical values in the same frame is to use batch reporting. For the batch, the number of physical measurements that will be sent must be known in order to choose a label for each of them and the size of these labels. 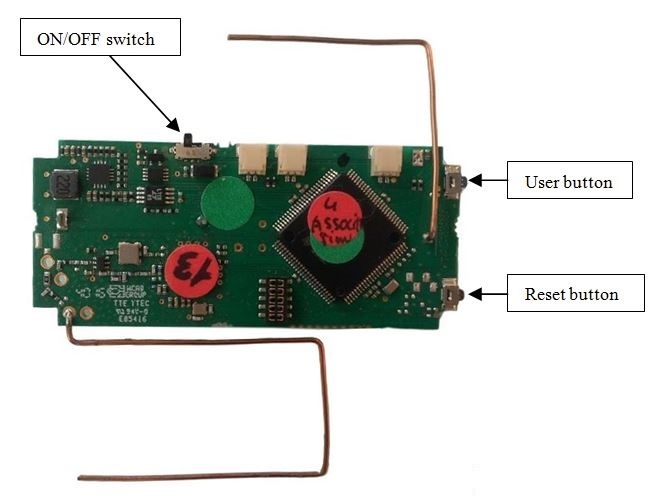 There are 2 kinds of power sources in the sensor (Rechargeable battery and Disposable battery). So, with the temperature, the humidity, the illuminance and these 2 power sources, it is necessary to manage 5 different labels. The Tag Size to be used for 5 labels is 3. 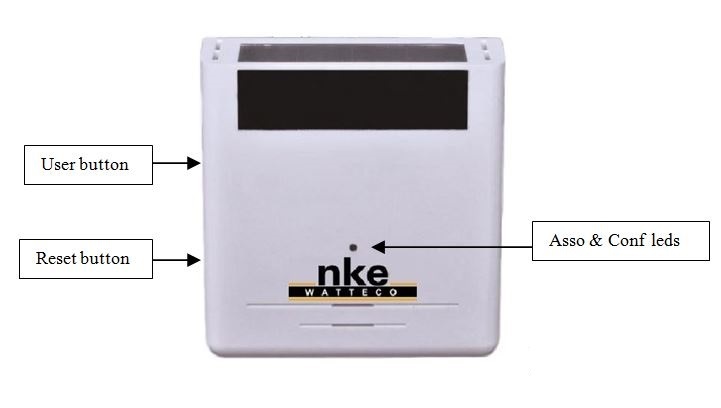 Label 000 can be used for Temperature, Label 001 for Relative Humidity, Label 010 for Illuminance, Label 011 for Rechargeable Battery level, and Label 100 for Disposable Battery level. To configure the batch, a “Configure reporting” command must be sent for each cluster. For temperature the delta has to be set to 100=0x0064 (1°C), the minimum to 30=0x001e (30 seconds), the maximum to 6*60=360=0x8168 (6 hours), and the resolution to 100=0x0064 (1°C). The cluster to report is 0x0402 and the attribute 0x0000 (MeasuredValue). For relative humidity the delta has to be set to 500=0x01f4 (5%), the minimum to 30=0x001e (30 seconds) ,the maximum to 4*60=240=0x80f0 (4 hours), and the resolution to 500=0x01f4 (5%). The cluster to report is 0x0405 and the attribute 0x0000 (MeasuredValue). For Illuminance the delta has to be set to 1=0x3f800000 (1% in single precision), the minimum to 0=0x0000 (0 seconds) ,the maximum to 2*60=120=0x8078 (2 hours), the resolution to 1=0x3f800000(1%). For Rechargeable Battery power sources the delta has to be set to 600=0x0258 (0.6V), the minimum to 10=0x800a (10 minutes), the maximum to 24*60=1440=0x85A0 (24 hours), the resolution to 600=0x0258 (0.6V), the field to 3=0x03. The same is applied for Disposable Battery except the field to 4=0x04 (see Node power Descriptor Batch Report Table). The cluster to report is 0x0050 and the attribute 0x0006 (Node power descriptor).